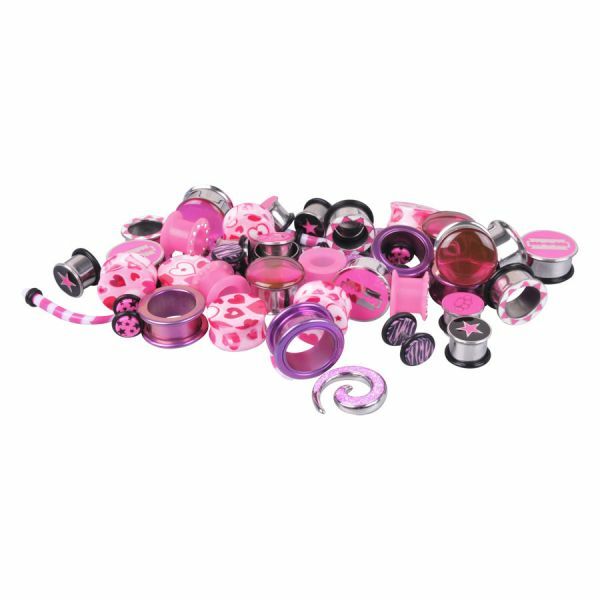 Our Colourful Lobe Set is part of our Wildcat collection and is composed of different plugs and tunnels that come in diverse sizes and colourful designs. The set contains 100 articles, which are divided into 50 pairs. The set contains a good mix of articles that are made of acrylic and PMMA. Both materials have a good skin tolerability and therefore, are also suitable for allergy sufferers. With our big discount you will save 80%!